It would be lovely to believe in years to come that wine labels printed by FineCal would become sort after art treasures where the quality of the design would be indeed a true representation of the quality of the contents. In fact, the reciprocal is more so: that the magnificence of the wine demands the need for an exemplary label of high quality printing. Every label job we undertake helps us towards the ultimate goal – the perfect print. And there's the dilemma, who will (or even can) judge when that historic day is fulfilled. So meanwhile, we're determined to excel in all what we do and wine labels in particular will help us along this path. Of course as we say, the label should say it all. For consumers it should clearly state the origin and type of wine, and not omitting the alcohol level, importer, bottler and if relevant “le premier cru", all this to ensure simplicity in presenting the facts to the shopper. 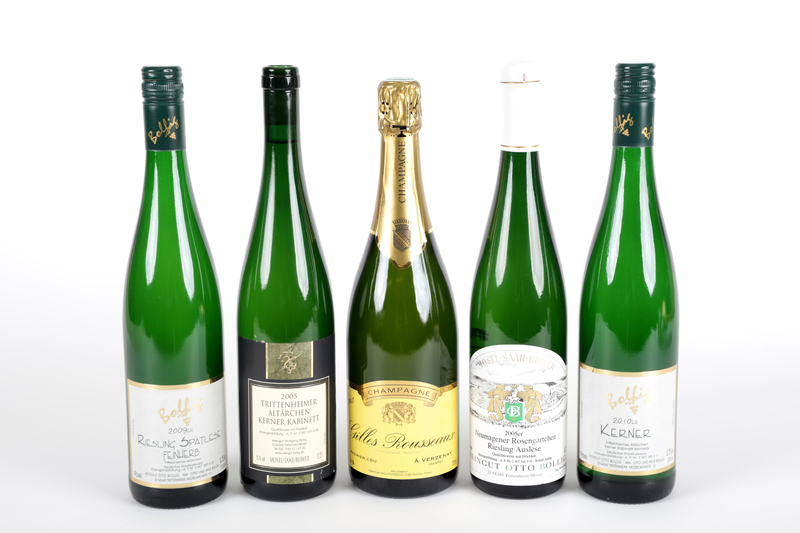 For the producer, the same criteria are relevant of course, but other important factors come into play - the correct grade of label material with the appropriate finish. Should it be of a velvet or gloss grade; can it cope with foil or metallic colour effects; will its barcode give accurate information when scanned with no hitch; and especially important will it stick especially on the curve. The last thing that anyone wants is for the bottle to arrive with the labels in the bottom of the case – a real nuisance for the retailer too. So materials chosen by us are of the highest grades with adhesive coating weights of even spread without dull spots. They have to contain good flexibility and a top surface that will accept the finesses of the printing dot perfectly contained. 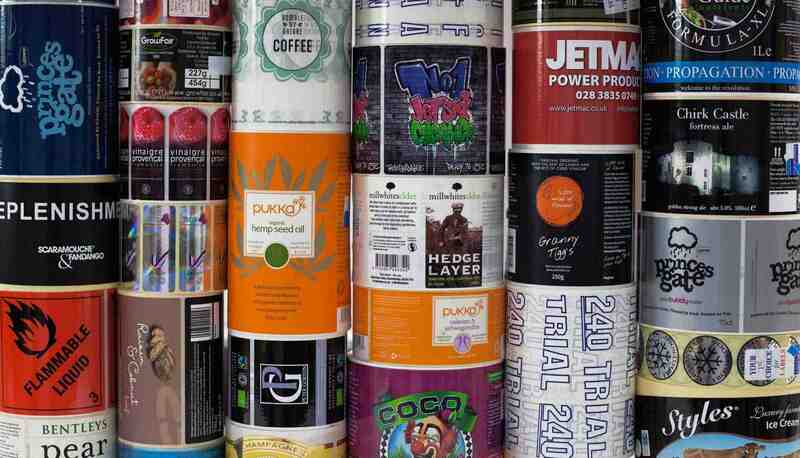 For over a decade we've produced label prints of a high standard. It doesn't matter the amount that's required. For large producers or smaller growers, we can print in hundreds or thousands it does not matter as we offer competitive rates.